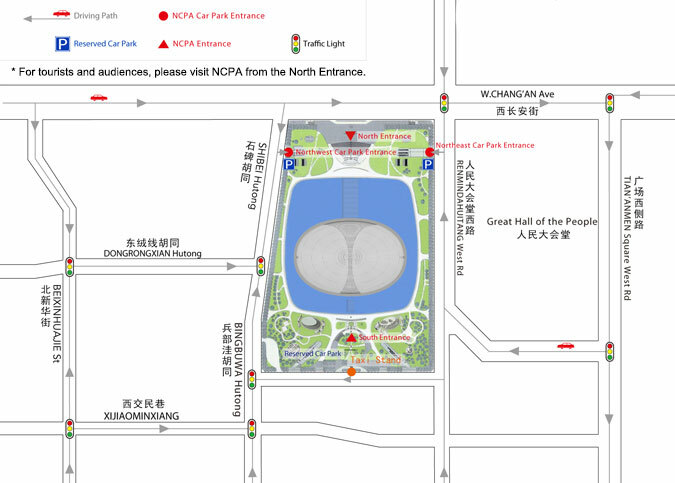 The NCPA basement parking garage entrances on Shibei Hutong and West Street of Great Hall of the People are open for visitors and event-goers, from 9AM to the ends of the performance. 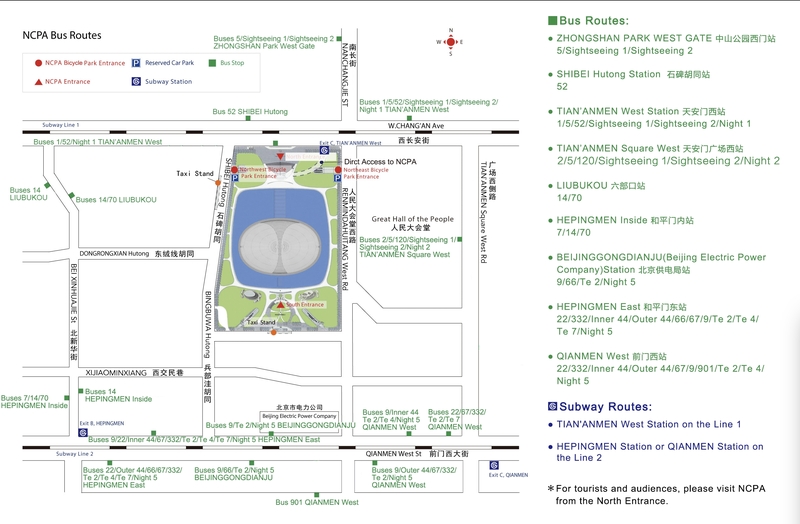 Payment is RMB 6 per hour and by cash when you exit. 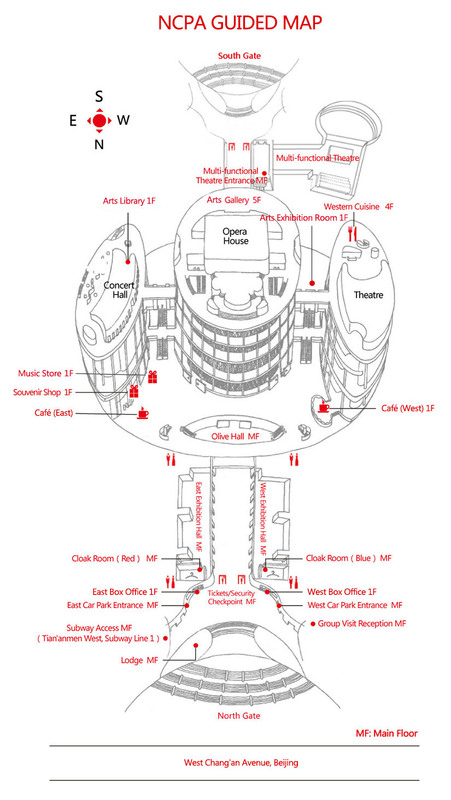 The NCPA contains orchestra-level seating that is accessible to persons using wheelchairs; however, due to the historic nature of the theater and local fire regulations, second-floor seating is not wheelchair accessible. 10. 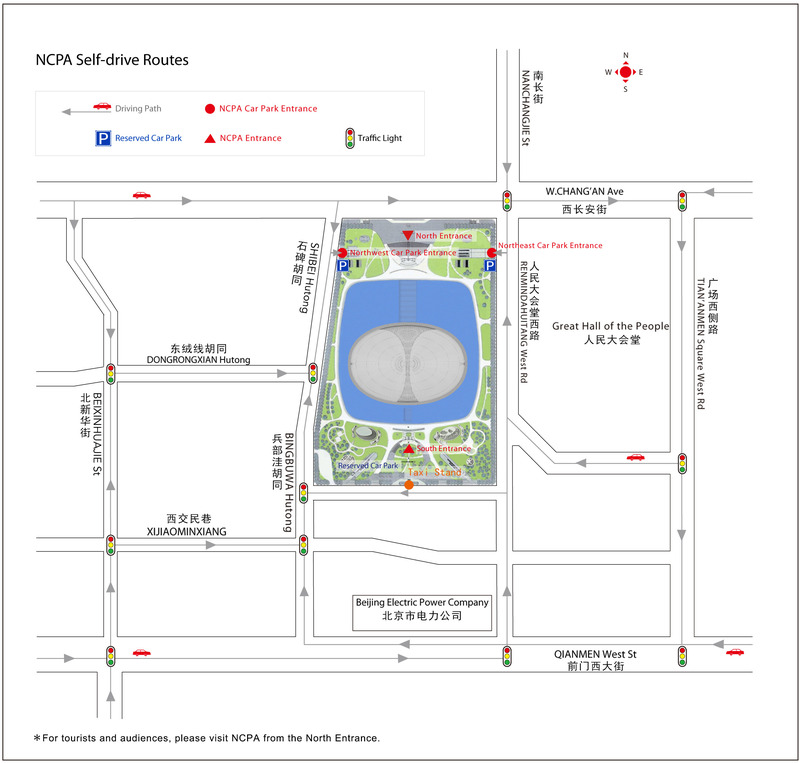 In case of major events, visits will be arranged according to the events.